Sure, there are other paper diffraction glasses on the market, but you will not find any that compare to ours. 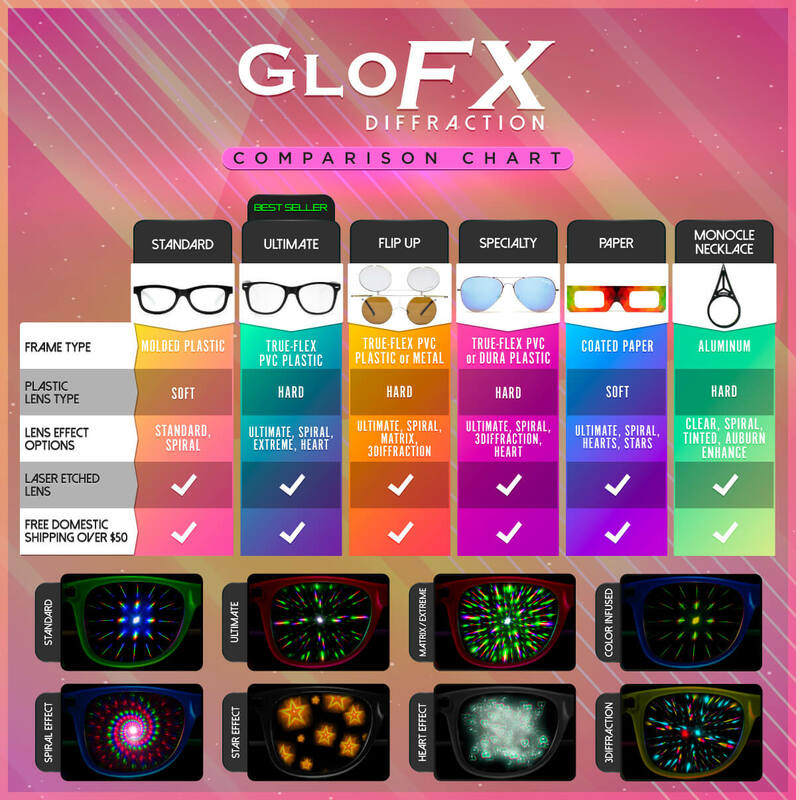 GloFX Paper Cardboard Diffraction Glasses feature the same effect as our Ultimate Diffraction Glasses, providing over 3 times the light diffraction effect of other paper glasses. While you will love the quality and durability of our cardboard glasses, what you will love most is…the price! Enjoy the best prices on the market, and discounts for the more you buy. Keep your kids or students entertained for hours!!!! I gave these to my step kids and they went crazy, even the two year old! Being able to share is just another part of the experience :). Great product, will buy more again soon. These are awesome! Kids and adults had a blast with these this July 4th. They are very effective at adding prismatic zing to any lighting display. Arrived quickly and well priced. These are great! I ordered 20 and have given them to family and friends. They give a lot for the price. Bought these a couple weeks before a big rave. Give em out to people and boom, instantly you have new friends!! They were gone after 15 minutes in the doors. Great buy, worth the 8 bucks.